January 16, 2015 by Alexa C.
I haven’t had too much experience with the ‘hunter’ type of action games which pit the player against large monsters to kill in a certain amount of time. I dabbled briefly with Monster Hunter Freedom‘s PSP demo some years back and also enjoyed God(s) Eater Burst, but that’s about the extent of my involvement with such games. 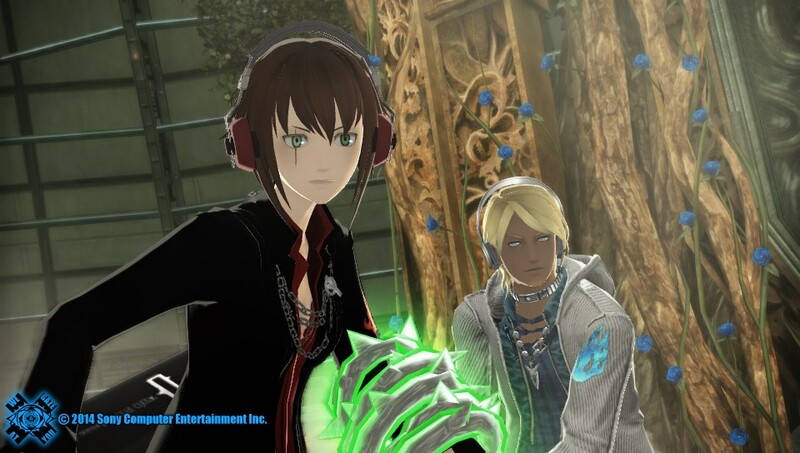 While twiddling my thumbs impatiently for news of a God Eater 2 Vita localization, I was gifted the game Freedom Wars by Francisco Fuentes for Christmas. I had some vague interest in the game beforehand, especially when I found out the God Eater team was involved in the production. But how does the game hold up in the end? Let’s take a look. 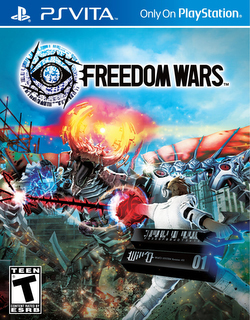 Freedom Wars was developed by SCE Japan Studio, who have produced a variety of PlayStation games over the years including Ico, Shadow of the Colossus, and Gravity Rush. The game was also co-developed by studio Dimps (who worked on the Sonic Advance and Dragon Ball Z Budokai games) and Shift (who worked on the God Eater franchise). I love my healing Thorn but that green has a nasty contrast with the rest of my Sinner’s outfit.